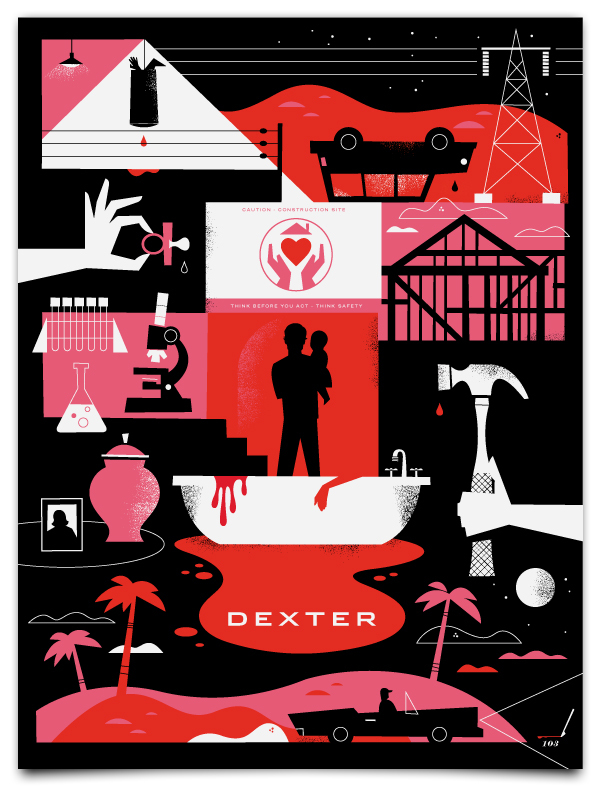 If you like Dexter you’ll probably love these posters. Ty Mattson from Mattson Creative published these Dexter posters on Thursday night, and on Friday morning he got some calls from the show’s creators asking about the prints. Now Showtime is selling the posters ONLINE, he met Michael C. Hall and the producers of the show. Pretty Cool. Visit Mattson Creative for more details.